It wasn't an attempt to sneak always-online DRM into the game. 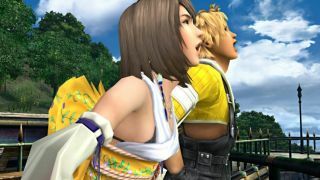 Square Enix released an unexpected patch for Final Fantasy X/X-2 HD Remaster earlier this month, announcing that some minor bugs had been fixed. More notable, however, was an online requirement. Players reported they couldn't play offline, and some speculated that always-online DRM had been slipped into the years-old game. The result was a spike in negative Steam reviews, of course, with always-online being cited as the reason. But there was no mention of the change from Square Enix, nor did it seem to make much sense, adding something like this three years after the game launched. A statement was posted on Steam today confirming that the online requirement was a bug and that the update has been rolled back until it's fixed. "We are aware of an issue which affected the ability to play Final Fantasy X/X-2 HD Remaster in offline environments," said Square Enix. "To rectify this, we have removed the latest update with immediate effect, and you can now continue to experience the game as before." There's no date on the new version of the patch, though it will be available in the "near future". If you were having trouble playing offline before, you should be able to get back to Tidus and pals now.